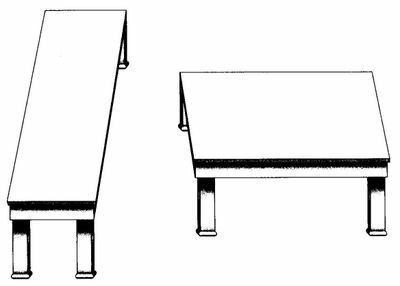 Your brain is telling you that the tables don't have the same shape. But if you measure them, you will see that they have the same shape even though one of them is rotated 90 degrees. If you look at an object, like your phone, you see a phone. But to really see the phone you have to learn to see the its shapes, colors, proportions, shadows, reflections, textures, and its relationship to the environment. Why is it so difficult to actually see the phone? The answer is that our brain is programmed to take shortcuts to avoid being overloaded. If you each time you saw an object, you would notice its shapes, colors, proportions, and all the other things, then your poor brain would become overloaded. So it's easier for the brain to just add labels to the objects you are seeing and then move on to the next object. The brain's habit to add labels to objects you are seeing is a problem if you want to draw images. This is the topic of the book Drawing on the rights side of the brain. The idea behind the book's title is that your brain consists of two sides: left and right. It's the left side that add labels to objects and it's the right side that can see all the details, such as shapes, colors, proportions, shadows, etc. So you need to use the right side of your brain if you want to draw an image of whatever you are seeing. Switching from the left to the right side is not an easy task as there's no switch you can use to just deactivate the left brain. What you need to do to make the switch is to fool the left side. If you want to draw this cat, your left brain will bring up its memories of what a cat looks like and you will draw these memories instead of what you are actually seeing. 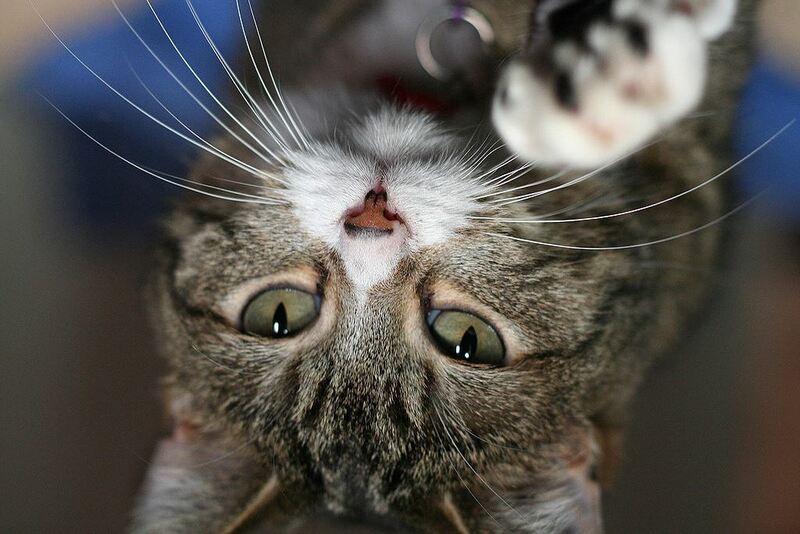 Why should you turn the cat upside down? 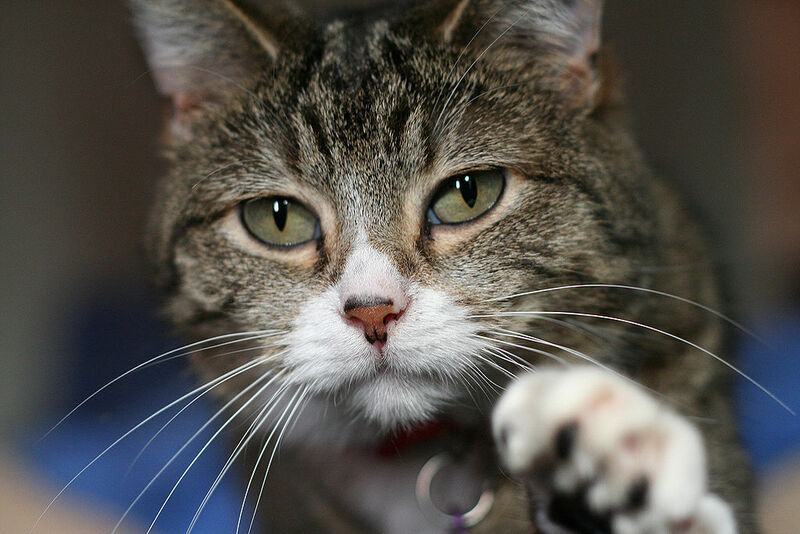 The answer is that it will be much more difficult for your left brain to attach memories of cats to the cat, making your right brain take over so you can actually see the cat's shapes and colors. So when you draw the cat you need to avoid words like eyes, because it will bring up memories of eyes that you will draw instead of the green shapes you should draw. This is actually a technique forgers use to copy signatures: they have learned that it's easier to copy the signature if they turn the original signature upside down. You also need to avoid cat characteristics like that it's soft because it will not help you to draw the cat and the visual information you see may not be the same as what you remember. So you should draw what you see and not what you know. You should draw what you see without questioning why whatever you are drawing is looking like what you see. But when you are finished with you drawing, you should use your left brain to judge the result. Is what you drew looking like a cat? Can you design structures that last forever?